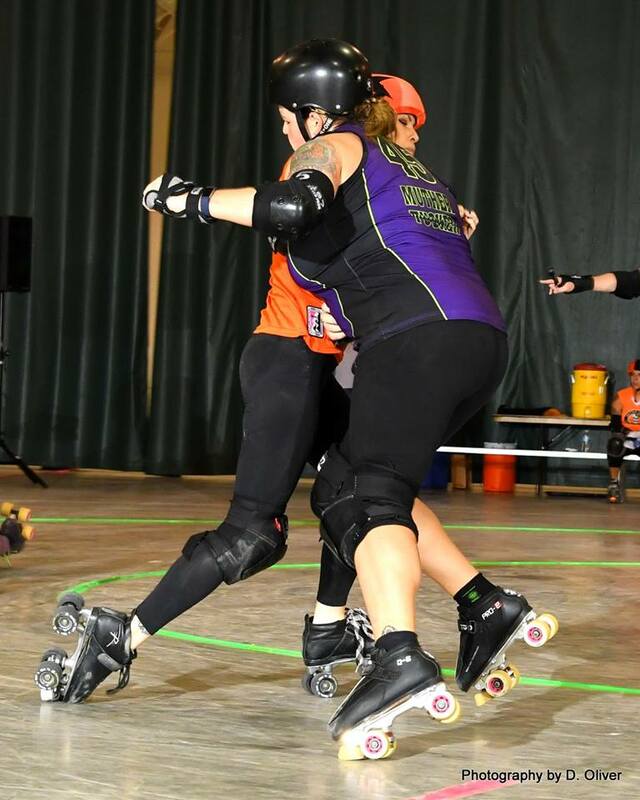 OUR MISSION STATEMENT: East Lansing Roller Derby is a skater run, nonprofit 501(c)4 roller derby league committed to making the Greater Lansing Area an even better place to live. Within our league we strive to promote health and physical fitness, healthy competition and good sportswomanship, and to provide opportunities for leadership and personal growth. Within the community we work with like-minded organizations to provide volunteers, funding and support to further their goals and our common goal of improving life in the Lansing area. Established in July of 2010, ELRD calls the northeast side of the Greater Lansing Area, specifically, East Lansing, Michigan, home. ELRD currently consists of two teams, the Mitten Mavens (our A-level, most competitive team) and the Broadbarians (our B-level, growth and development team). With time, we hope to grow and expand our league even further! In 2014, the ELRD organization had the opportunity to give our brand, culture and mission a complete overhaul. Our new recipe for our growing success is simple; devote ourselves to a culture that is positive and empowering, yet still fully provides a competitive and athletic experience. ELRD does not tolerate “Mean Girl Club” behavior. Our group is here for each other both on and off the track and we mean that. To this day, the core of our foundation is built upon this cultural concept. PURPOSE: In every way possible, we strive to build and maintain an inclusive environment and league culture that promotes the goals of accepting, respecting, and valuing differences which include attributes such as age, race, gender, ethnicity, religion, sexual orientation, gender expression, sexual identity, ability, language, family circumstances, and cultural backgrounds. Our goal is to promote the sport of roller derby in an unbiased, positive, motivational, structured & safe training environment.